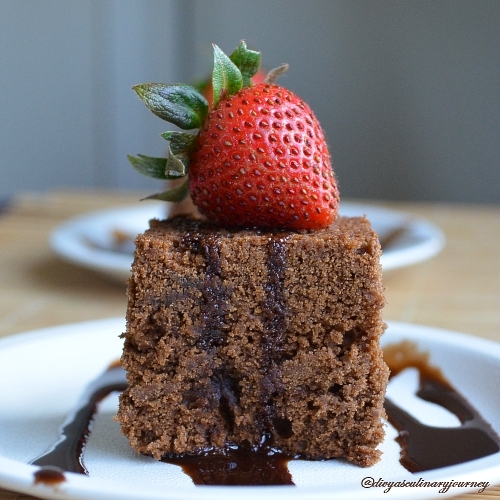 Divya's culinary journey: Mocha Snack Cake. 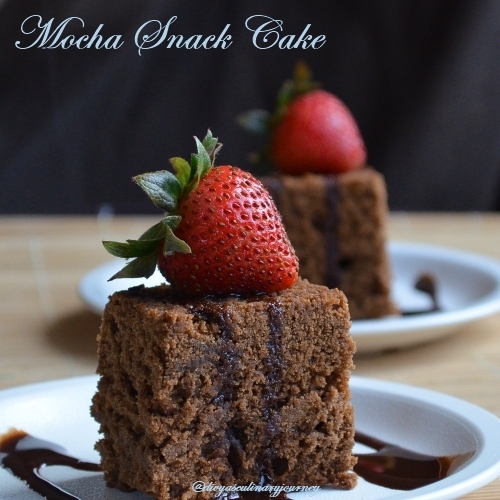 Today's recipe is Mocha snack cake. The cake is rich, soft and doesn't require any icing and they can be just snacked on. Preheat the oven to 350F and prepare an 8" square pan by greasing and flouring it. Cream the butter and sugar together, add the egg and vanilla and mix them well. Then combine flour, cocoa powder, salt and baking powder. Add this mixture little by little to the butter mixture, alternating with little coffee mixture till they are all fully incorporated. Pour the batter to the prepared pan and bake for 25- 30 minutes till the tooth pick inserted comes out clean. Let it cool. Slice and serve. I served them with chocolate syrup. Or you can just sprinkle some powdered sugar and serve. It's a very tempting presentation Divya..Loved the recipe. Very muthwatering and delicious cake. Beautiful clicks. Lovely clicks.. like to grab one.. 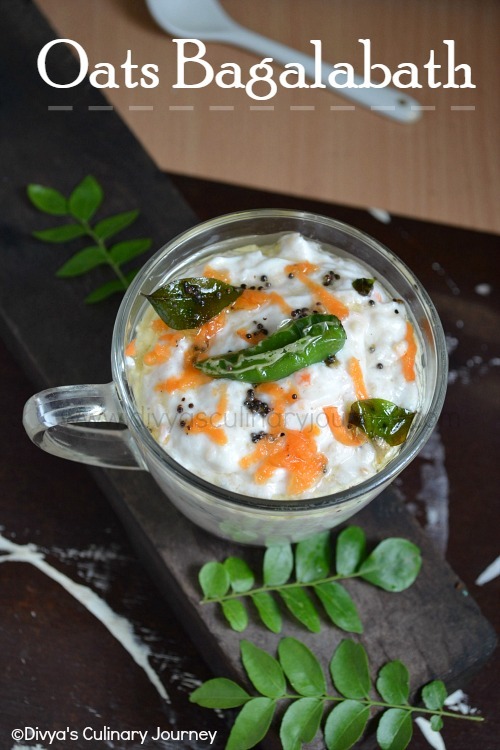 Irresistible, am amazed to see the variety of dishes you whipped up with coffee and tea Divya, well done. wow..looks absolutely stunning!..love that strawberry on top..lovely presentation! wow I love this cake..can surely make without the egg..:)..great recipes Divya, enjoyed them all..
Cake looks exactly as you described -- moist & rich. Lovely clicks, too tempting. Very mouthwatering and delicious cake. Nice click. Anything with the coffee flavor in it, I am for it and awesome clicks, especially the first one..
very flavorful n delicious cake, looks so soft n yummy!! Lovely clicks dear!! wow... cake looks perfect... delicious!! I made this today and it was a huge hit. So delicious! Light and soft with a rich coffee flavor. Loved it. Hard not to eat the whole thing in one go. Can't wait to make it again. Oh my! That's heaven bite size :-D lovely click!! Your Mocha cake looks scrumptious so does mocha granita from your previous post.